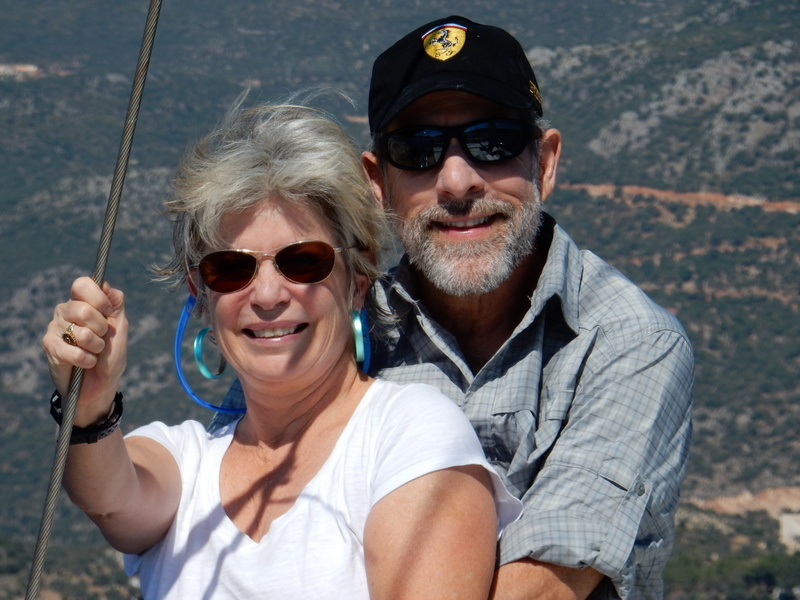 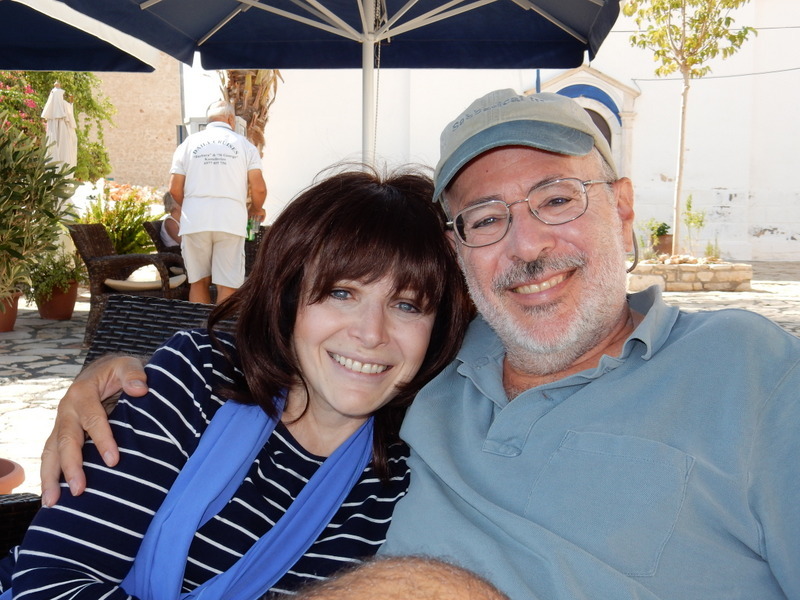 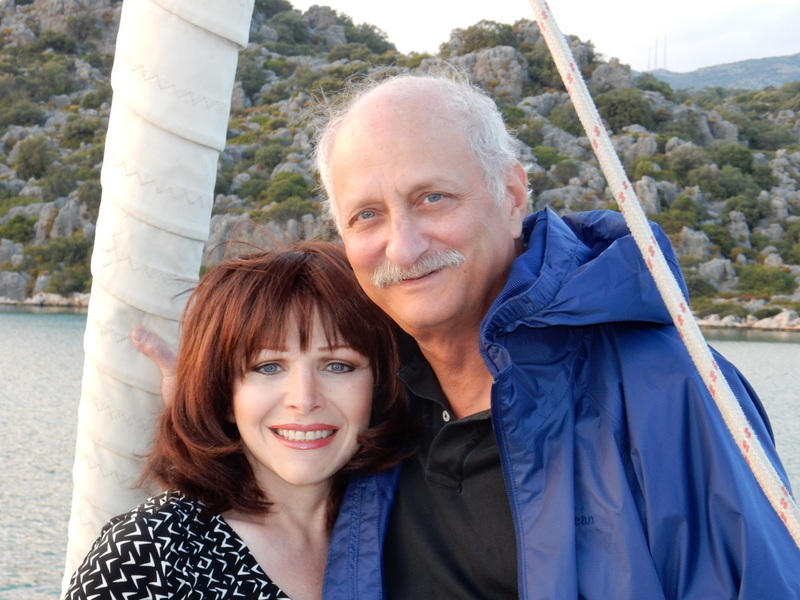 My sister Naomi and her friend Bob flew out from Chicago to Turkey and spent almost one week with us on Sabbatical III. 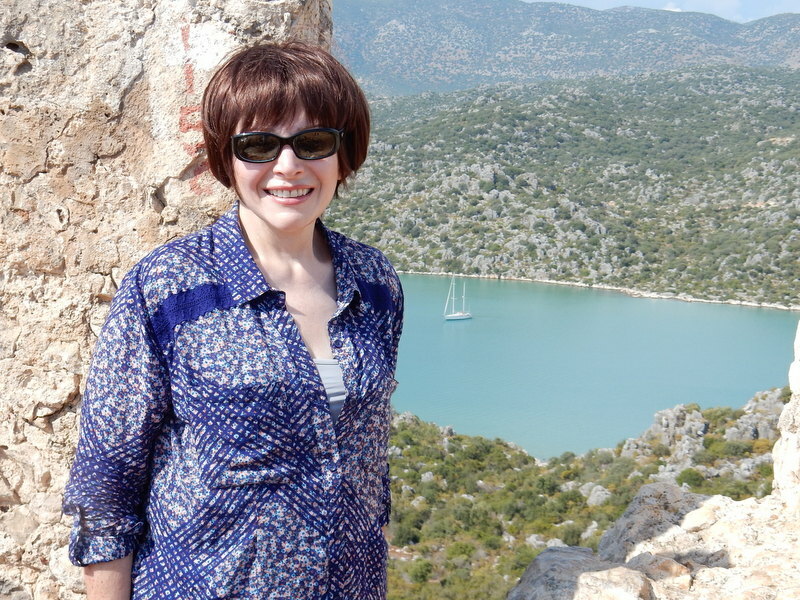 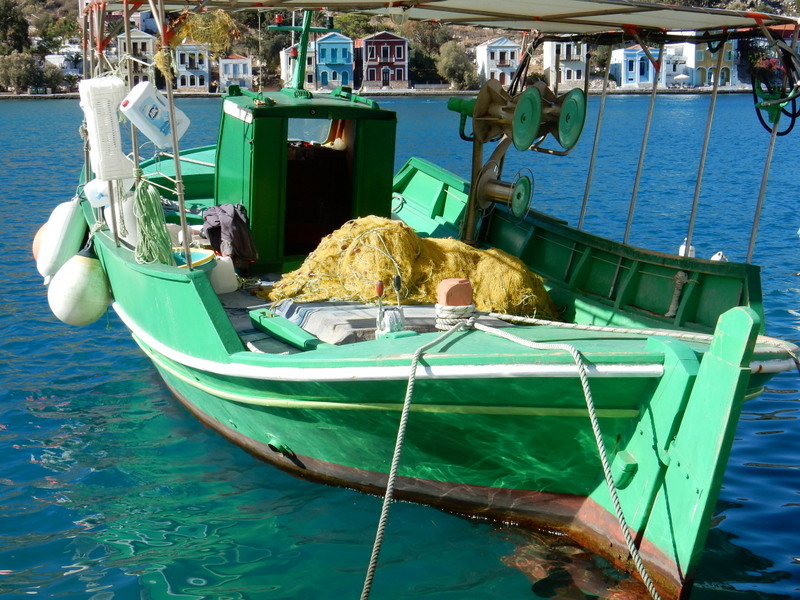 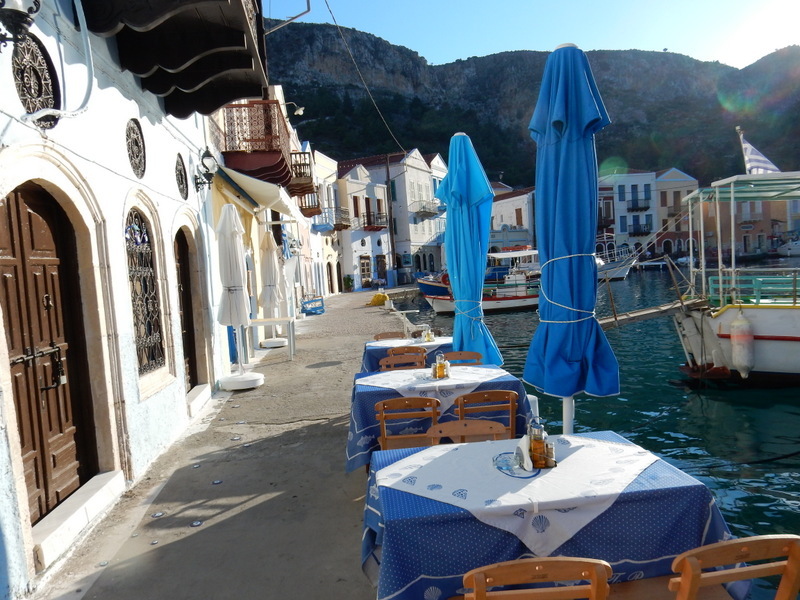 We spent one day in Kas visiting the Friday market, eating at our favorite restaurant, Eniste’nin Yeri, sampling dondurma (Turkish ice cream) on the town commons, and provisioning the boat. 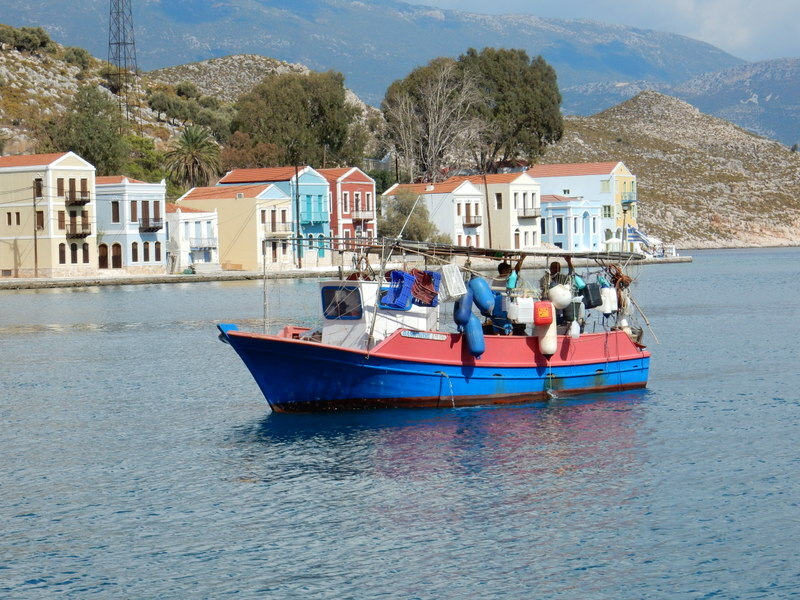 We then sailed to Kastellorizo (Megisti Island), arriving at our anchorage just before a big squall that featured a waterspout less than one-half mile away. 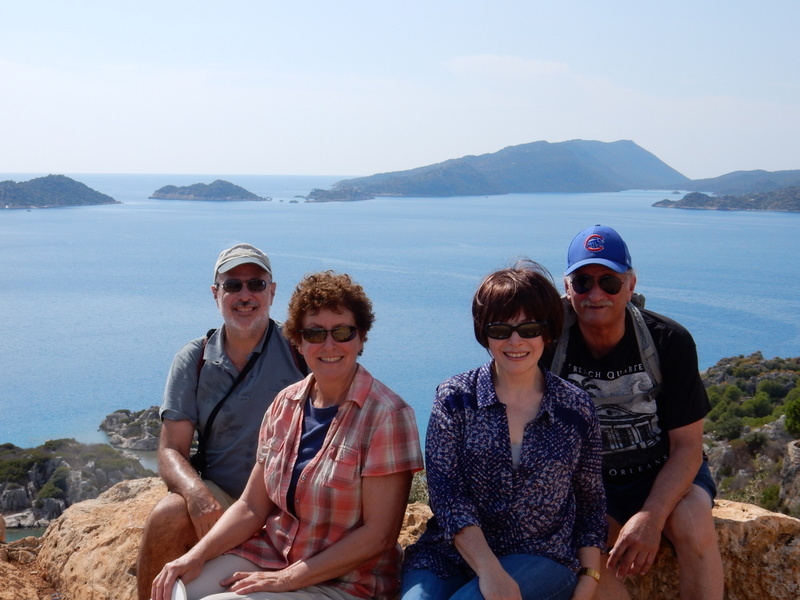 The next day we had a great Greek meal and hiked around the charming town. 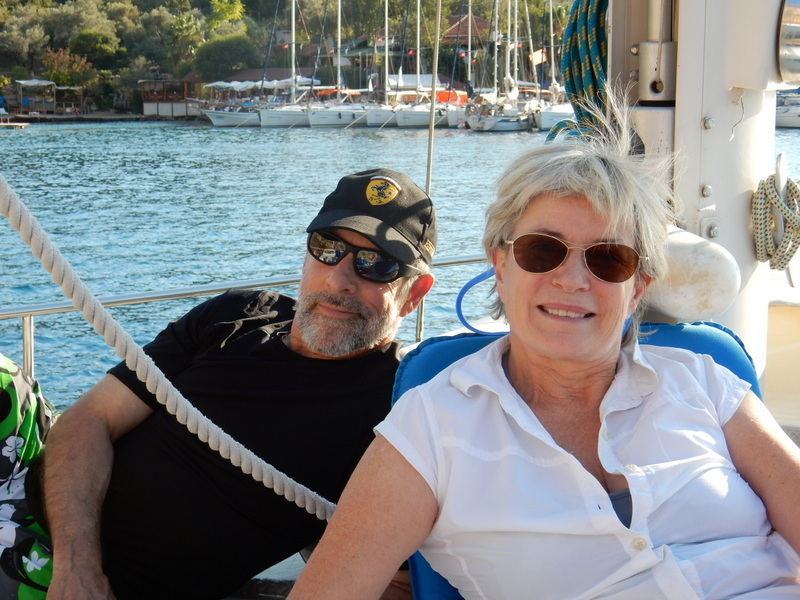 We then sailed to Aperlae in Kekova where it proceeded to rain on and off for much of the day. 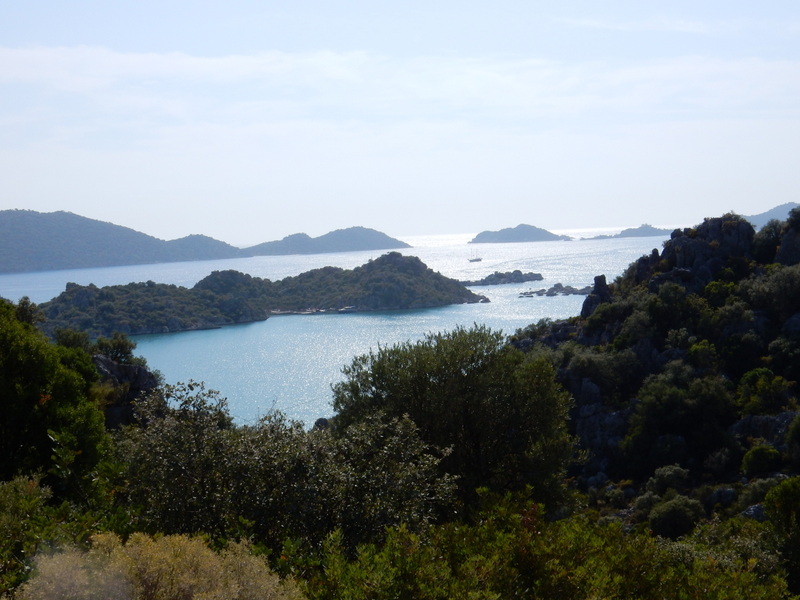 All this rain made us feel bad about claiming that it rarely rains in this part of Turkey. 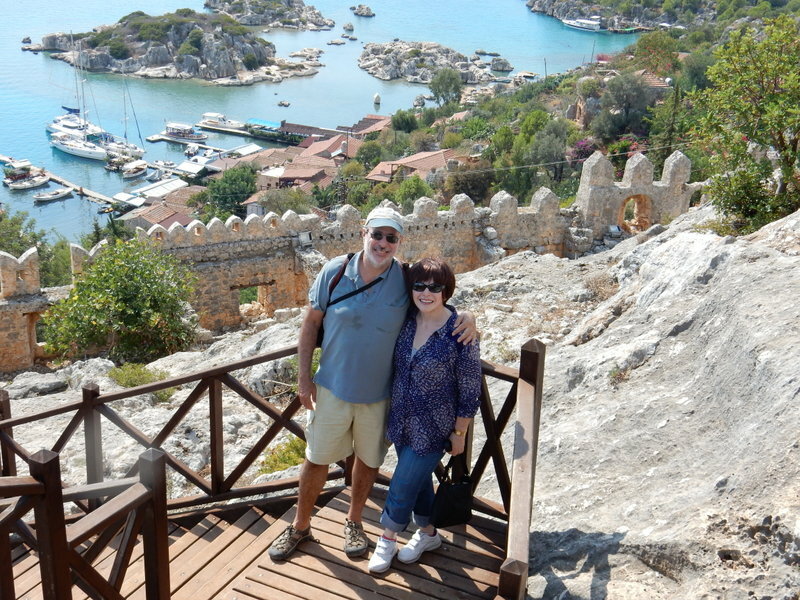 The skies did clear, and we star gazed from the deck at night, hiked up to Kaleköy for the views, and ate a couple of great meals at Ibrihim’s in Üçağız. 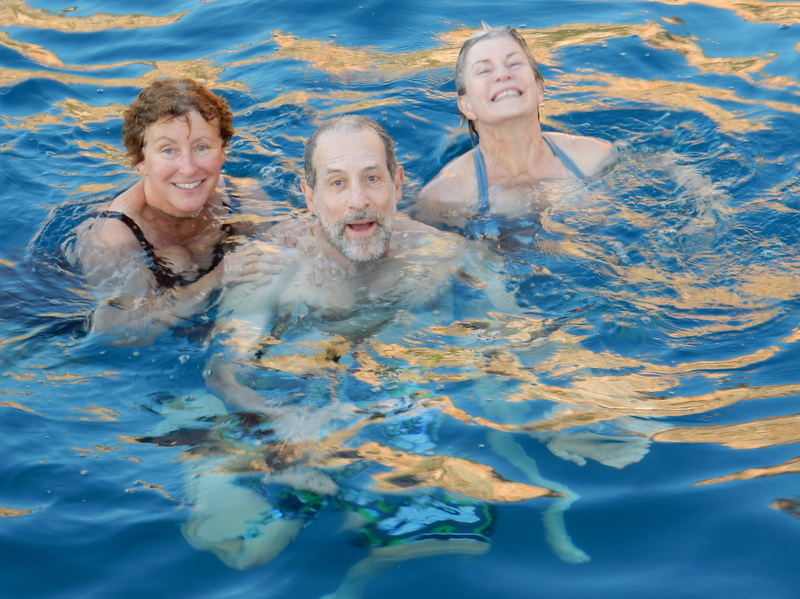 It was great to have them with us on the boat. 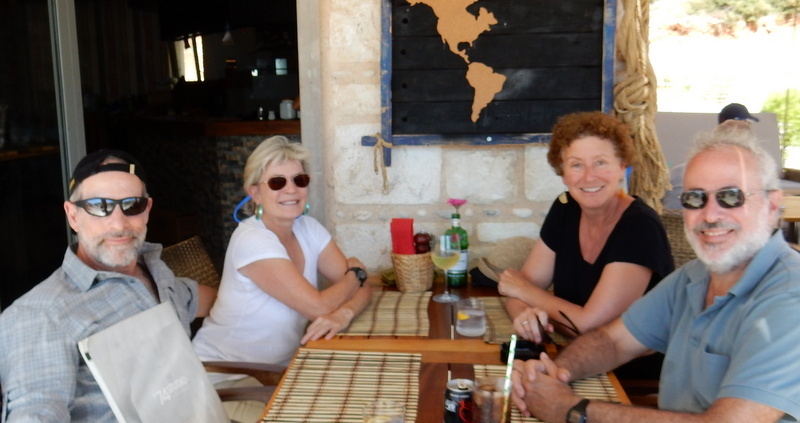 We had our friends Danny Rose and Jamie visit us for two days at the end of September. 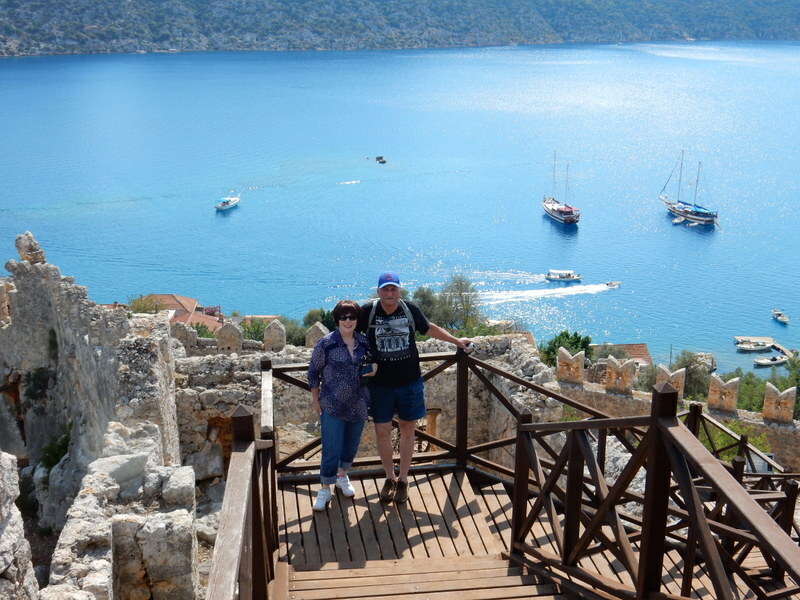 We showed them a bit of Kaş and had a great sail in the waters off of the Greek island of Megisti. 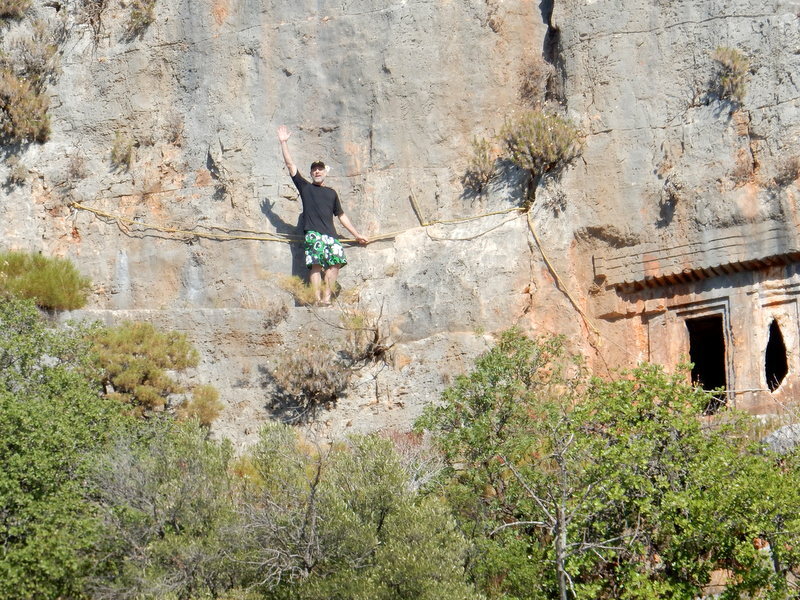 We anchored at Limanağzı where the swimming was great and Danny scaled the cliffs to visit the cliff tombs and get a view from the top. 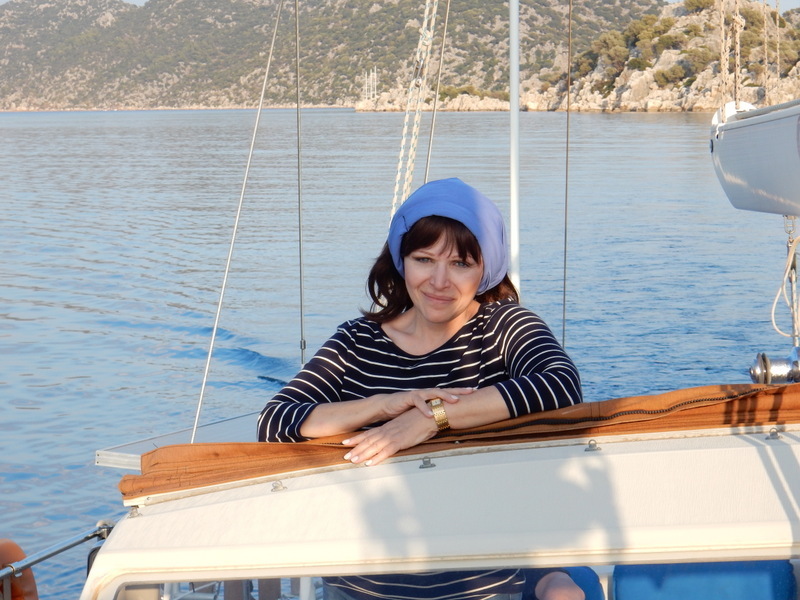 After dinner on the boat, we sat on the deck looking for shooting stars.